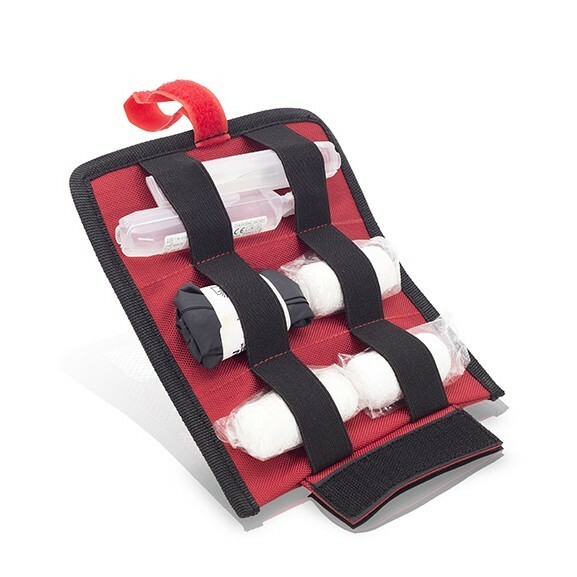 Paramedic’s first aid kit. 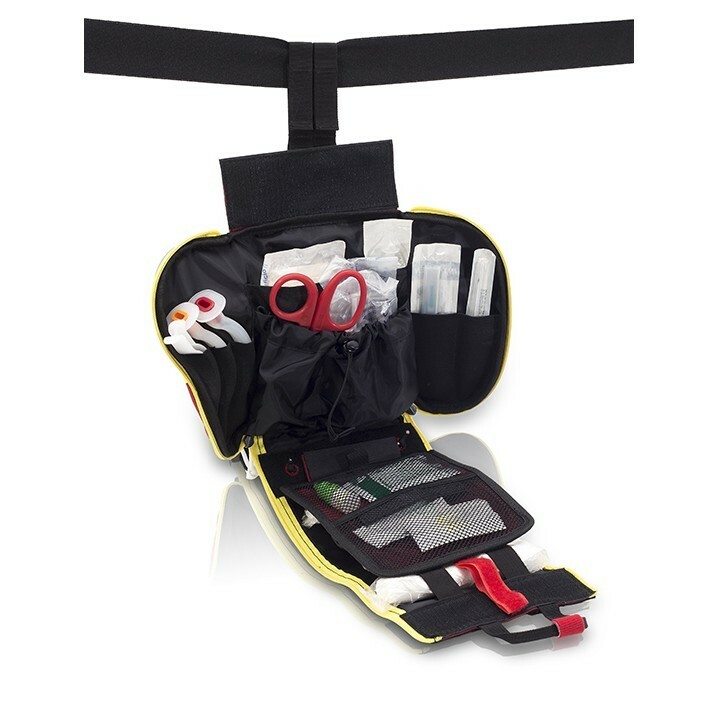 Its big size and layout allows the transport and organization of self-care & emergency material. 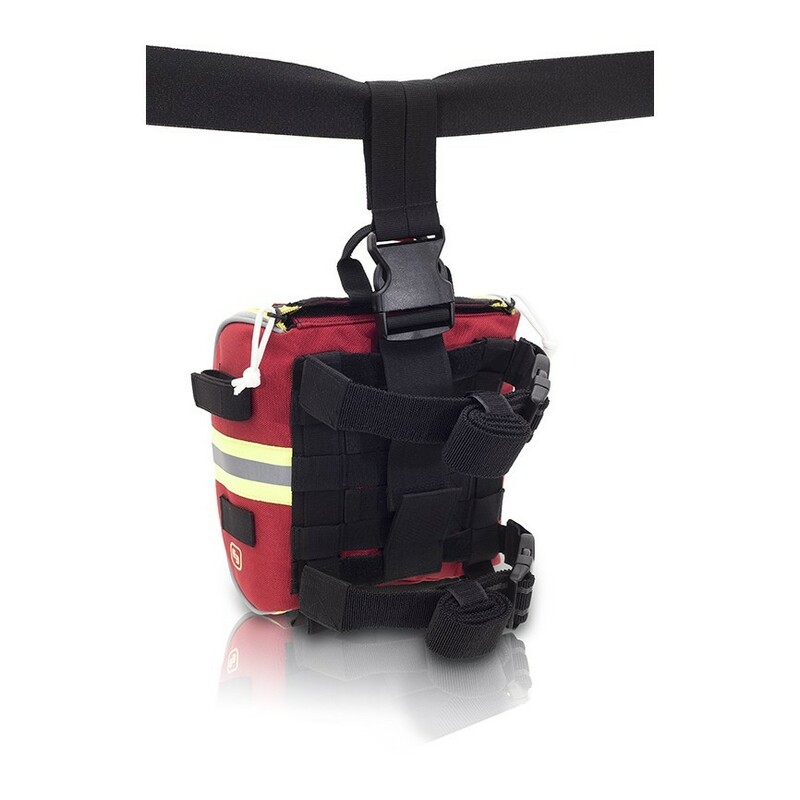 Its double fastening position (waist/leg) make this bag easy to carry, moreover its position can be regulated, and the anti-slippery bands stops the bag moving on the leg. MOLLE PANEL on the back to be fastened to other bags or vest. Night & Day reflective bands, reflective zippers and glow in the dark pullers for a quick location/opening of the bag. Elastic bands adjusted by velcro. Drain hole on the base of the bag. 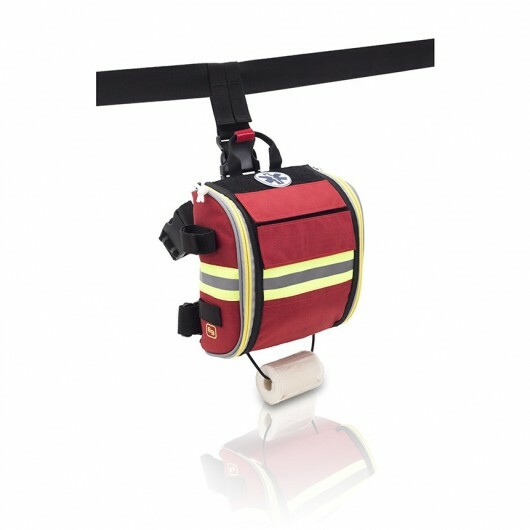 Red Velcro band to locate the main handle of the kit. Interior layout can be divided in two main parts thanks to a detachable middle flap. Elastic bands and net pockets. Side panes with elastic pockets. 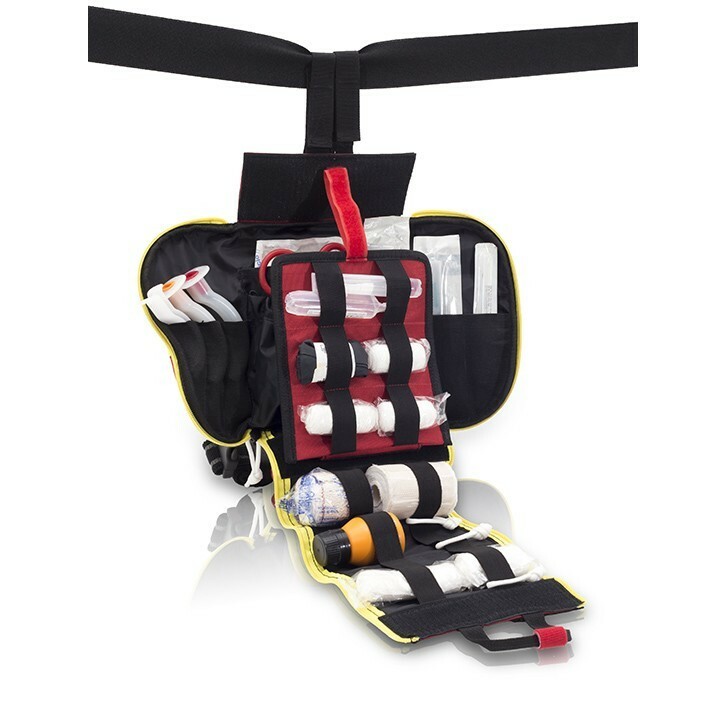 Central main pocket with adjustable opening system.